One would think that after all of the stress and drama of Day 1 of qualifying weekend, it would be smooth sailing until next week’s big event, but alas, other than a guaranteed placement in the Fast 9 shootout group, Saturday means nothing. Come Sunday morning the times were wiped, and drivers strapped in to repeat and hopefully better their performance from the day before, to lock in one of 33 starting positions. First, everyone breathed a bigger sigh of relief with the news that Sebastien Bourdais, injured in a horrific crash on Day 1 of qualifying, was already impressing doctors with how well he was responding to treatment after undergoing successful surgery Saturday night at IU Health Methodist Hospital. This certainly had been weighing heavily on the minds of the drivers and crews along pit row, but now they could get on with the task at hand. Note: it was also announced that James Davison, who has contested the Indy 500 previously with Dale Coyne Racing, would be stepping in for the convalescing Bourdais for next weekend’s race. No word yet on who would be taking over the seasonal seat. Though no one waded up their cars, there were a few significant wall kisses, which scrubbed speed, and perhaps a little bravery, during the 4-lap runs. Next up was the Fast 9 Shootout for Pole… And because everyone loves a little drama, and Fernando Alonso, they got a two-fer, as the Indy newbie’s crew was tasked with changing out his engine post warm up, in time for qualifying. Which, of course, they did. Will Power dropped from 6th to 9th, JR Hildebrand from 4th to 6th, and Sato from 2nd to 4th. 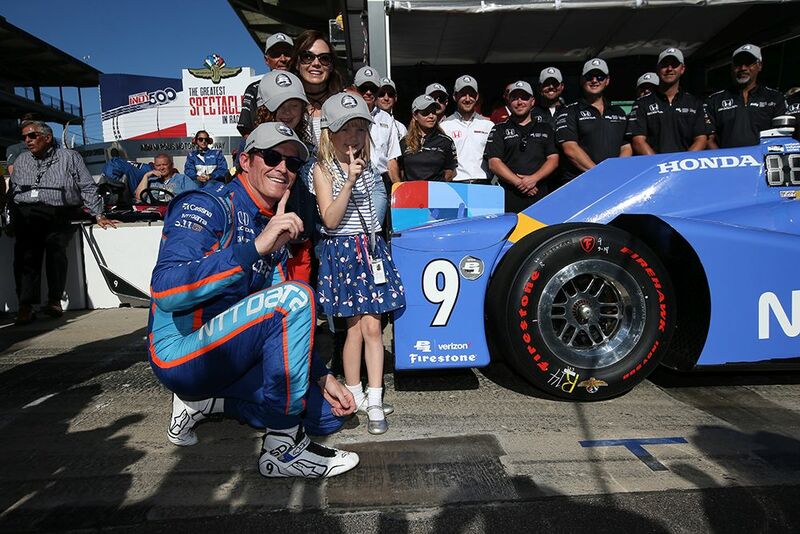 Alonso, with his new power plant, jumped from 7th to 5th, Rossi made a move from 5th to 3rd, but the man of the hour, Scott Dixon, laid it all out, and jumped from 3rd to 1st, then nervously watched from the chute as fellow 2-time Indy 500 Pole Sitter, and fasted man on day 1, made his 4-lap attempt at a 3-peat. TAKUMA SATO (No. 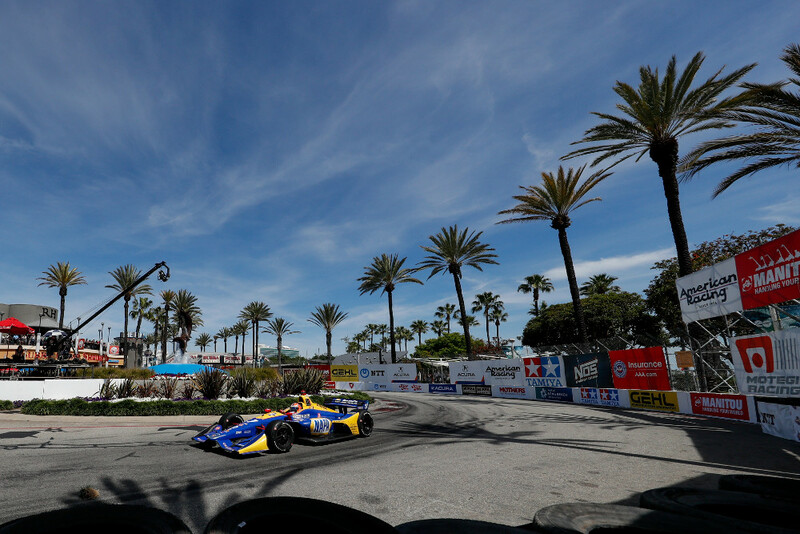 26 Andretti Autosport Honda): “We were pushing so hard – Lap 3 and 4 were so on edge and I brushed the wall, but held on. I’m very happy to be in the second row, obviously, the front row would be nicer but this was a great team effort. I am very happy with where we are staring. (The race) will be a different scenario than qualifying but I think we have a strong car in the race situation and hopefully we can prove that.